Should Your Company Have Background Screenings? Home > Resources > Background Screenings > Should Your Company Have Background Screenings? 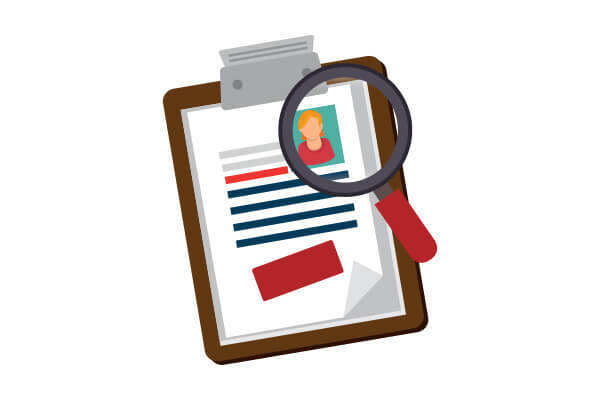 It’s important to know the type of people who work in your office or as part of your team, and background screening can be an efficient way of getting to know your applicants before you hire them. This means you can be more confident in the people you bring on board, keep accidents to a minimum, and make sure your business stays full steam ahead. Read on to see if your company should have background screenings. No matter how ingenious your product or service is, your team needs to be in top shape in order to deliver. Unfortunately, it can be difficult to tell how someone will perform before seeing them in action. However, background screenings can give you some idea as to what your potential new employee is like. Then you can decide if you think he or she will make a positive addition to the team and make a more confident decision during the hiring process. Some kinds of accidents are easy to deal with, but others can spell trouble for your company. Certain aspects of background screenings will allow you to make a more researched judgement call about a particular employee. For example, you might expect to deal with more accidents if you hire someone whose background check has revealed them as a drug addict. By doing your research and conducting background screenings, you can be sure that everyone you add to your team will bring something helpful to the table. This means you can maximize your productivity, which is eternally important in such a competitive age. When it comes to background screenings, drug testing in Arizona is commonplace. If you think your company might benefit from this type of service, please feel free to call Oschmann Employee Screening Services at (800) 224-8532 or check out our website to see how we can help you.